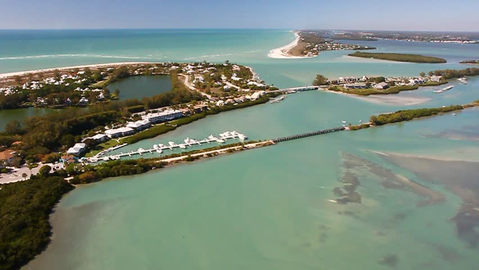 Looking for a Boat Rental in Englewood, Boca Grande that's close to Little Gasparilla Island? We have eight great shallow running boats located just before the Boca Grande Causeway in Placida, FL at very reasonable prices. 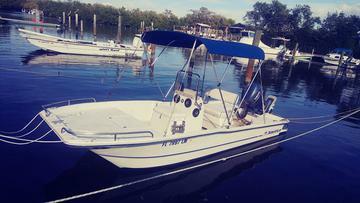 We also have some great Polar Skiffs and Deck Boats at Englewood Yacht Club on Manasota Key in Englewood, FL. There are several things to consider in choosing which rental boat is right for you and your family's needs. We want our customers to know we are no longer associated with Chadwick Cove Resort and Marina as far as boat rentals but we do deliver boats to the Little Gasparilla Island and to all the all Englewood areas, including in Chadwick Cove at Englewood Yacht Club which is beside Chadwick Cove Marina and also to Chadwick Park which is across the street from Englewood Beach. Chadwick Park in Englewood, FL has plenty of inexpensive parking for the general public on the peninsula beside the White Elephant Pub. Word to the wise: Rent from Captain Stu at 941-505-8687 and not the folks at Chadwick Cove Marina. Those people are now claiming our google local listing in order to confuse our regular clients. We own the USPTO Trademark serial number 87502399. This still hasn't been fully resolved but we are not at 1825 Gulf Blvd. like google maps is saying currently. You want a knowledgeable service run by true boating professionals that have served the community for years in the boat rental industry. Be extremely careful where you rent a boat down here in Southwest Florida. Be sure to ask whoever you rent from if rescue is available in case your boat were to become disabled. Captain Stu oversees each and every one of his boat rentals and is always available in case your boat should run aground, run out of fuel or become disabled for any reason. If you are looking for easy access to the beaches, our boat rentals are all perfect for that because they can pull right up on the beaches and anchor onshore. Another major factor to consider is how easily you can get in and out of your rental boat. All of our boat rentals are designed to run in shallow areas which makes it easy to climb in and out once you anchor on the beach. Just always remember to always keep the motor in deep water. Another reason our boat rentals are perfect for this area is they are designed to run in just a few inches of water which is great for mangrove touring, flats fishing and shelling. We can take you out on a practice run if necessary and work with you....it's that easy! 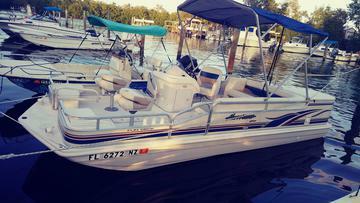 Choose from either a 18,19 or 20 foot Carolina Skiff, or rent one of our deck boats which holds up to 12 people. For experienced boaters, you will love our 30 foot double decker pontoon boat! It has all the comforts of home whether out in the Gulf or on one of our many great beaches. Our boat rentals are equipped with GPS/Depth Finder navigational equipment and are perfect for the fishing in shallow harbor areas and in the Gulf on calm days. We also provide coolers free of charge. 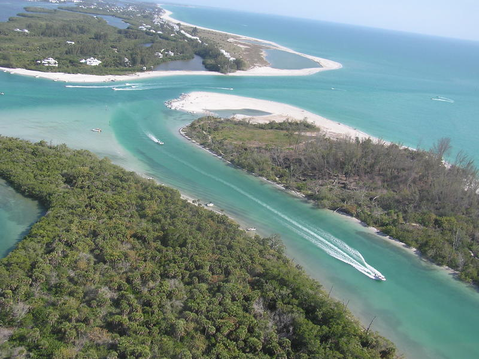 Our boat rental service areas include: Boca Grande, Englewood, Port Charlotte, Punta Gorda, Gasparilla Island, North Port and all areas near Placida and Cape Haze. Larger groups, click on this link to check out our double decker pontoon boat rental. Optional Services - all of our boats can be rented with a tour guide for an additional $150 for a half day and $200 for a full day tour. This is your safest option, especially if our areas are unfamiliar to you or you aren't sure where the best anchorages are. The person that rents the boat is considered the navigator or main person in charge of the bareboat rental if a tour guide is not selected. ***We do require 15 days advanced notice if you want to cancel your boat rental. We do not offer refund to no shows or last minute cancellations. We do offer refunds in the event of inclement weather but that determination has to be made by the captain. He will not send anyone out if the conditions are unsafe.